Moderator: I’m David Ignatius, a columnist for the Washington Post and I’m going to moderate this afternoon’s discussion of Gaza. Our discussion of Gaza follows a war there that has reminded all of us of the burden of history in the Middle East and also has reminded all of us of the fragility of the peace process. Tonight I hope we’ll put a little more substance to that process by discussing where we go now, how we put the pieces back together. We have a most distinguished panel to discuss these issues with us tonight. Let me first briefly introduce them. To my immediate right (sic) is the Prime Minister of Turkey, Recep Tayyip Erdoğan. To his left is the President of Israel, Shimon Peres. To his left is the Secretary General of the United Nations, Ban Ki-moon and to his left is the Secretary General of the Arab League, Amr Moussa. I’m going to ask Secretary General Ban Ki-moon from the United Nations who has been particularly focused on the humanitarian aspects of the Gaza crisis to lead off tonight with his remarks for the next five minutes. Secretary General. Recep Tayyip Erdoğan: (Simultaneous translation from original Turkish) First of all, before replying to the question as to what needs to be done, I think it’s also important that we analyse the current situation because we need to do a proper analysis of the current situation in order to determine what steps need to be taken. I’m not going to start from 40 years ago in making the situation analysis, I am just going as far back as June 2008. If we look at back then, June 2008, there was a ceasefire which was stated [agreed to] and there was no problem to the ceasefire that was to last for 6 months, but when the ceasefire ended, 6 months later there were no rocket attacks at that point, in the meantime the Israeli side was to lift the embargo, the situation had to change in Palestine, however, the Palestinian Territories are like an open air prison because it is completely isolated from the rest of the world, so it is very much isolated, sealed, so if you try to bring in a case of tomatoes from any crossing into the Palestinian territories you must get the permission of the Israeli side because it is not possible otherwise so [Looking at this,] I look at this from a humanitarian point of view and I will also say a few words as Prime Minister, I visited Israel some time ago and then I went to Palestine and as the Prime Minister I waited for half hour with my wife in the car [for about half an hour] to be able to cross into the Palestinian territories from Ramallah. But never has a diplomat coming from Israel had to wait for that long at our borders. I think we have to look at these aspects of the situation there on the ground. I also ask Mr. Olmert if there were any deaths as a result of these rockets attacks and he told me that there were no deaths, but that the attacks were a fact, so these rockets are being used but, they don’t kill anyone, so I’m told that it’s about the rockets themselves, they are of not very good quality, but in the meantime, there were more that 24 Palestinians who were killed during the ceasefire since last June, and the power was cut off, there was no food, the electricity didn’t exist in hospitals, so there were quite a number of difficult issues and we had already started as Turkey to send humanitarian aid to Palestine, so there was already a humanitarian issue then. And let me say, I have always been a leader who expressly stated that anti-Semitism is a crime against humanity, Islamophobia too, is a crime against humanity. For me the person being Christian, Jewish or Muslim is not important if the person is under stress, to me, the common denominator is that they are all human beings and so my approach is a humanitarian one, and that has been what I have taken as the basis of my efforts, for example we tried to send humanitarian aid the Turkish Red Crescent, tried to provide aid, but it took quite a while, two weeks sometimes, to have the trucks cross the crossings. I don’t know if President Peres is aware of this but it has taken us quite a lot of time, our diplomats have had to work very hard to make sure that the aid will flow into the Palestinian Territories. Even more interesting, is that the Israeli Prime Minister was in Turkey, Mr. Olmert was in Turkey four days before the war in Gaza started. as you have mentioned, we as Turkey have taken up an intermediation role between Israel and Syria for indirect talks and there were already four rounds of talks, which have taken place, indirect talks, and the fifth round was actually carried out with Prime Minister Olmert and myself present and our special envoys present in Ankara and we sat together for five to six hours and we were discussing the issues between Syria and Israel. I was on phone conversation with President Assad and my envoy was talking to the Foreign Minister Moallem and our goal then, to see if we could move to the next phase which was direct talks between Israel and Syria, so that was what we were trying to do and our goal in trying to do all this has been to achieve peace in the region and we have been trying to bring together officials from two countries which to date have not come together. We were making quite good progress, so much so that we were having problems with a few words only, in the language that we were talking. It was decided that a few days should lapse until a final decision could be reached and in the meantime, I was talking to Mr. Olmert with my Foreign Minister with me and our special envoy and Prime Minister Olmert had his advisers as well and I said that we could work to release the captured Israeli soldier who was held by Hamas but I said, and I also made the request, I said that the reforming change Party won the election in Palestine. We are talking about democracy, we would like to see democracy take root, so if we would like to see democracy take root then we must respect, first of all, the people who have received the votes of the people of the country they are running in, so we may not like them, but we have to respect the process. And I said to Prime Minister Olmert that they held the Ministers and Members of Parliament of Palestine. I suggested also, that there could perhaps be a gesture made, similar to the gesture made to President Abbas before, they could be released perhaps. But Prime Minister Olmert said that this would make things very difficult for President Abbas. But then I said, perhaps it would be possible to release some of the women and children and that could perhaps that be done as a gesture. President Olmert told me that he would talk to his colleagues and respond back the next day, but we got no response and in about 4 days after that, by December 27 we saw the war in Gaza. What happened was more than 1,200 people were killed including women and children. More than 5,000 were wounded and this was a disproportionate use of force, so if you look at all this from a humanitarian point of view and think of the military power of Israel including weapons of mass destruction and whether or not there is anything that is similar in Gaza, whether the Palestinians have any of that kind of military power, they don’t have that kind of power. The UN Security Council met and the resolution was announced but Israel did not recognize this resolution of the United Nations Security Council as Secretary General Ban Ki Moon mentioned, the UN centre was also hit during the course of this war. Schools, mosques were also hit, but mankind or humanity as a whole did not really act as quickly as it should have to try to help people there. In the case of Georgia people acted rather quickly, I include ourselves in that effort because we too worked very hard to help Georgians as well in a difficult time. So, what I am trying to say is that we should not be judging anyone by their race or religion if they are in distress. Our goal, everyone’s goal, is to try to help people in difficulty. I visited Syria, Jordan, Saudi Arabia, Egypt and I talked to many leaders, European leaders on the phone, unfortunately this whole thing lasted 3 weeks it was covered from the very beginning, television channels, BBC for example predicted that it would take about 3 weeks, indeed the whole process or the whole war took 3 weeks and this has lead to the destruction of the infrastructure. And the figures that the UN Secretary General mentioned are not sufficient to solve the problem, we need much more, not even 1 billion or 2 billion dollars would help in trying to restore the structures there because these people there do not have any means to rehabilitate their infrastructure and they now have to be burdened. There is a lot of talk about Hamas, but Hamas are not the only people in Gaza, there are also civilians. 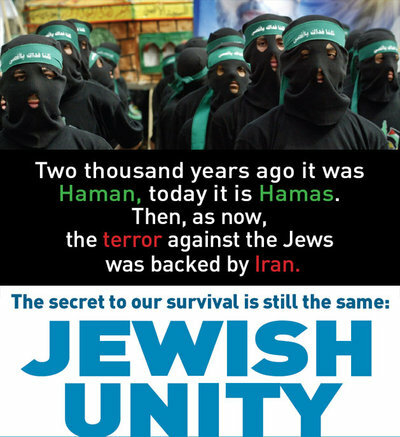 Hamas is also a different face of the change and transformation party. The problem here is that their democratic rights have not been recognized, respected. Where we are now, the unilateral ceasefire was announced by Israel and then Hamas the next day announced a unilateral ceasefire as well. One is talking about a year-long ceasefire process, the other one proposes a year and a half. Another issue is of course to end the isolation of the Palestinian People. Will it be possible for Israel to do that, in other words, will the crossings be open for people to come in because how will those people survive where they are, under the conditions that they are in? If we respect the Universal Declaration of Human Rights and the Conventions that are internationally accepted, those crossings, first of all, must be opened so people can experience their rights, the rights of life. There is also the issue of arms being smuggled into the area. If one end of the tunnel is in Egypt then Egypt must stop this illicit arms flow. But if we consider Palestine as a State, and I think that there is also a question there, perhaps some question marks in peoples minds, this issue of the division within Palestine, and how to breach the differences between Fatah and Hamas. If we are trying to bridge that gap then we have to consider all the parties. And I said this to Mr. Olmert too, because if it’s only Fatah who is present on the Palestinian side, that is not going to be sufficient to project the results to all of the Palestinian people, Hamas has to be taken into consideration as well because they are a part of that society, they have won an election, so they too must be included in this equation. If it’s the UN who is going to take the lead, that’s the way it should be, I hope that the UN puts it weight behind these efforts and/or the United States under the Obama administration can take an important role. I hope, I expect, President Obama to be the voice of the silent masses and to put his weight, his administration’s weight, behind a solution. He must do this not within the agreements that have been previously made by the previous administration, including the last one that was made between the then Secretary of State Condoleezza Rice and Mrs. Livni. There’s got to be a new opening and Hamas must be considered in this process. If Turkey is asked to play some sort of a role, we too would be willing to be involved, but we must be careful and we must think of the whole process when we try to define the parties involved and we must definitely achieve peace in the Middle East because that is important and necessary for global peace. If the Middle East peace process does not yield a positive result, that means that we will not have peace in the world as a whole. So I think that in the National Unity government to be established in Palestine this party of Reform and Change must be there, and that is how the National Unity government has to be established then elections have to take place and once the new government is in place, whether we or not, like them will be and should be the government of the Palestinian people because we have to respect the will of the Palestinian people. Moderator: Thank you Prime Minister Erdoğan for a very comprehensive and I must say quite newsy response. Let me turn out to Secretary General Amr Moussa the same question: how do we put this peace process back together after Gaza and perhaps you could address the two things that Secretary General Ban focused on. First, how to achieve unity among Palestinians? And second, what this new American administration can most usefully do as George Mitchell begins making his way around the region? Amr Mussa: Well thank you very much. Let me begin by thanking the Secretary General of the United Nations for the forceful position he has taken and for the actions he is calling for in order to save the situation in Gaza, to save Gaza after the carnage that has been committed against its people. Also I wish to commend the role played by Turkey, a very positive, courageous and clear role that Turkey, a member of the Middle East family of nations, wants to help establish peace and to help deal with the major mistakes that have been committed against the Palestinians and to ask for, work for a fair, a just peace in order for peace to be durable. Now, David, you asked me to talk about the future and how we would address it. This cannot make me sweep things under the carpet, things that belong to the near future and also to perhaps distant future. The situation in Gaza was not a reaction, the assault against the Gazans was not just a reaction for some rockets being launched against Southern Israel. And here I would open some brackets to say that we are against anything that would affect children, women, civilians be they Palestinians or Israelis. And then I continue to say that this situation in Gaza and in Palestine is a situation of foreign military occupation. So people […] and siege, a blockade. Gaza is living within a blockade, a very severe one. The West Bank is under military occupation with barriers, with colonies, that’s settlements, so the Palestinians are trying to express themselves to find a future for themselves. You cannot ask people in Gaza living in starvation and hunger because of the blockade, the very sinister blockade, and then ask them to be calm, and ask them “why do you throw stones against your occupiers?”. It is against the nature of people, against the nature of people, you strangle them, you starve them and then ask them to be quiet? And then, as has been discussed now, the question of smuggling, of course smuggling is illegal, illicit trade, illicit movement of things, commodities and so on, including perhaps arms. You strangle them, not a single window of opportunity, and then talk to them about illicit trade? If you want to prevent this, you have to open the crossing points, you have to give them food, you have to give them water, to give them medicine. It is a miserable life that the Palestinians have lived and until now are living in Gaza because of the blockade that Israel has imposed on them for three years now. Number two. Another fact: the Palestinians believed the call for democracy. There were some policies, international policies, at certain times, calling on the Middle East: “apply democracy, democracy is the solution for everything!” – and it happens that I agree with that. The Palestinians believed the advice, had elections, Hamas won, and half an hour, twenty-five minutes after the announcement of the results of the election, Hamas was served notice that aid would be suspended and then came the blockade, a severe blockade, and hence Hamas was put on the defensive. But very much as Prime Minister Erdoğan has said, the people in Gaza are not only Hamas, it as such is only an organization among other organizations, but the people, 1.5 million people of women, of children, of all people, they were attacked and they paid the price for this game that is going on between Israel and Hamas and the game that has been caused, that is being caused until now by the military occupation. Amr Mussa: I know that the president is going to take all his time. So give me two more minutes, please. Moderator: I don’t want to bargain. [We have to have a ceasefire] We’ll be all ears to listen to President Peres. …let’s do a wrap up. Amr Mussa: Now. The year 2009 we lived the year 2008 with a lot of promises. And it ended up in a bloodshed. For us, to move from one administration to the other from the year 2000 to the year 2008, then 2009, then 2010, then 2011, this is a gimmick that we are not going to accept. 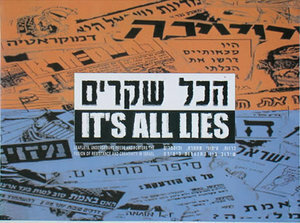 That is why: now we are in 2009, if there’s real intention, a real work done by an honest broker, the political will will be expressed by Israel in favor of peace and progress will be done, will be made, then we are on the right track. If this year ends – we reach the day 31st of December as we did in 2008, without any result, then we’ll have to reconsider. There are a lot of other alternatives. But I believe in what Turkey is saying, Prime Minister Erdoğan has said. We cannot reach and Israel cannot reach any of its goals through military means. We need to have a political settlement, but a fair one and in the year 2009. Tank you very much. Moderator: Thank you, Secretary General Moussa and now President Peres of Israel. No one has worked longer or harder on this thing we call the peace process than you have, and tell us how you think we can put it back together. Shimon Peres: Well, thank you Mr. Chairman, I heard the distinguished speakers talking about Israel and I couldn’t recognize the picture of the country that they know. I want to tell the beginning. It’s very difficult when a democratic country has to confront an illegal terroristic group. Whatever we do is being photographed; whatever they do, nobody sees. For example, when you throw a rocket on a settlement in Israel, it’s not being photographed. You cannot see the mother trying to defend her child the whole night, and their sleepless night. Did you ever see on television a sleepless night? I must respect for you Mr. Prime Minister, but I must put things as they really are. Let me start with democracy. First of all, who was elected by the Palestinians, but Mr. Abbas, who is called Abu Mazen. Sixty-two percent of the Palestinians voted for him to be the President of the Palestinian people, and we negotiate with him. Hamas participated in the elections but have a very unique idea about democracy. They think a democracy is a story of one day in four years you go through the election. After the elections you can start to shoot and kill and threaten. Finish. Democracy is not a matter of elections. It is a civilization and I want to conflict to your words by quoting from the Hamas; I won’t be going to interrupt the stories? But Hamas concerns us; Hamas published a charter; let me just read two lines, three lines from it, from the Hamas Charter. “The day of judgment will not come about until the Muslims kill the Jews, when the Jews will hide behind stones and trees, there is no solution for peace initiative, proposals, international conferences are all a waste of time.” This is an official charter. I don’t know about which Hamas you are talking? Now about the proportions. In the last eight years, well I mean, I hate to say it, but since you mentioned it, let me give the other picture, too. 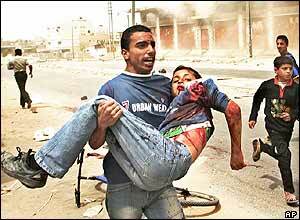 Israel lost hundred, thousand hundred sixty-seven lives from terrorists, eight thousand five hundred were wounded. It wasn’t done in twenty days, it was done in several years. We restrained all the time. And then since the last four years when Hamas took over Gaza, 5500 rockets, and 4000 mortars, shells were fired upon civilian life in Israel at random: they didn’t care if it was a kindergarten, if it’s a [ ]we didn’t answer. For that reason, the ceasefire idea, Mr. Prime Minister, was very strange in our views. We never started fire. And we told the Palestinians time and again, “Don’t fire, and there won’t be fire; we are not doing we never started!” And who broke…and oh by the way, we didn’t have a formal agreement about the ceasefire, they announced, and the Palestinians said, “It’s over.” They broke it. And when the Prime Minister was at your place four days before the operations started, the government of Israel didn’t yet to decide to take actions against it. Now let me… I want you to listen because you watch all of your television, I can understand your feelings. “Israel left Gaza completely, no occupation. We took out all of our soldiers from Gaza, all of our civilians. People are talking about settlements, we took out from Gaza all the settlements and all the settlers, fifteen thousand of them. Nobody forced us, it was our own choice. We had to mobilize forty-five thousand policemen to bring them back home, at the cost of 2.5 billion dollars. I want to understand why did they fight rockets against us? What for? There was not any siege against Gaza. All the passages were open. Not only that, we participated in investing money in Gaza, to develop a, an agriculture. We at Peres Center, we ourselves put in twenty thousand dollars, twenty million dollars, sorry, to build green houses, to develop strawberries, the export of strawberries, excellent strawberries, flowers. Jimmy Wolfensohn who was representative of the Quartet, took from his own pocket 5 million dollars to participate in it. They destroyed it. Why? They bombed all the passages. Why? Why did they fire at us, what did they want?” We didn’t occupy, there was never a day of starvation in Gaza! By the way, Israel is the supplier of water daily to Gaza, Israel is the supplier of fuel to Gaza, the only thing we didn’t permit to bring in was rockets from Iran! And they build tunnels to do it! And you know, we also have women and children, and they want to sleep at night. Do you know what it means, every day, almost hundred rockets falling at random, a million people have had to be under shelter. They came to the government and said “What happened to you? We want have security, why do you permit to happen it? ” And I want anyone telling me, clearly, what were the reasons for the attack? What were the purposes of the attack? Peace? We make peace with Egypt, not by arms, by agreement and negotiation, and we met all of the requests of Egypt. We made peace with Jordan the same, we gave back all the land and all the water. We opened with the Palestinians, and we told them, that we are for a Palestinian state, I started in Oslo, against the majority maybe, of our people that didn’t agree And all the time, you know Mr. Prime Minister, while you have had to wait, because many busses that came from the West Bank to Jerusalem were full of dynamite. I was then Prime Minister, I saw it with my own eyes, the blood and the bodies. You know, I don’t have to watch television, and when I came in there were thousands of people shouting at me “Traitor, killer, look at what you did to us!” You must, there are many details you have to know. Israel is sixty-years old, do you know any other country, that in sixty-years has had to go through seven wars, two Intifadas, an ongoing boycott? What, why? And in spite of it, we made peace with Egypt. I have the highest respect for President Mubarak. By the way, President Mubarak accused Hamas, not us. And President Mubarak knows the situation not less as you Mr. Prime Minister. And President Abbas knows the situation not less than you do, and he accused Hamas not us. And then mothers and children came to the government and asked what will happen? A million people every night have had to hide themselves in shelters, mothers with sleepless nights, what do you really mean? By the way, I have never saw anyone demonstrating against those missiles! That was ok Nobody said a word. And we didn’t answer, a day in and a day out, a year in a year out, there’s a limit to it. And by the way, I have much respect for the Secretary General, he used to be and I hope we’re still a friend, I appreciate very much the Arab initiative, but there is a problem in it, I don’t want to hide it. The problem is not the Arab world, the problem is the Iranian ambition to govern the Middle East. They supplied the rockets to Hezbollah, they supplied the rockets to Hamas, they are controversially the Arab making, and you know we didn’t have a choice. The leader of Hezbollah, Nasrallah says: “Would I know that Israel will react so strongly, we wouldn’t have started”. Thank you very much. And then come the Mashaal, the leader of Hamas and said: “Israel reacted too strongly.” What did you expect us to do, I don’t understand? What would any country do? What would you do if it you would happen in Istanbul every night ten rockets, a hundred rockets? And we never gave up, all my life as you said, Mr. Chairman, I appreciate it, I am fighting for peace, what we did is not…the thing that we wanted to do… It’s not our choice, our choice is peace. What we did is because the lack of a choice, we were threatened with a choice. Would you vote for such a convention, to kill the Jews? OK, those are words, but to kill the Jews and send rockets to kill them. What you want us to do? We started to negotiate with Mr. Arafat, with much respect, it wasn’t simple. The PLO was in the beginning a terroristic organization. Mr. Arafat agreed to stop terror and go on to negotiations. By the way, what ever was achieved peacefully, positively, was achieved not by rockets, not by force, not by power, but by negotiations. It takes time, it takes time. It’s a very complicated country. It’s a small country with three religions, with a lot of history. With different ethnicities, it’s not simple. We made peace, once, twice, now we are negotiating with the Palestinians. There was a crisis among the Palestinians, we don’t intend to be the one that decide that the Palestinians be united or not. As long as Hamas did not rebel against the Fatah, it was not our business, we didn’t say a word. You know what? I am talking about Israel, look what the people, of the Palestinian people, the Secretary General of Fatah is saying about Hamas, three days ago.His name is Yasser Abd Rabbo, a Palestinian, a secretary general of the PLO, of the executive committee, and I quote him, I quote him three days ago: “Hamas has turned Gaza, Gaza schools and mosques, all universities into centers of detention, interrogation and torture and torture. Dozens have been shot in their legs, beaten savagely, and had their bones broken, broken. Hamas plundered trucks bringing …and distributes it only to…the food.. only to the supporters of their movement.” They didn’t give the food to the people of Fatah. They killed hundred leaders of Fatah in full daylight. They throw them from the roofs. What do you really mean? Is that the matter of definitions? 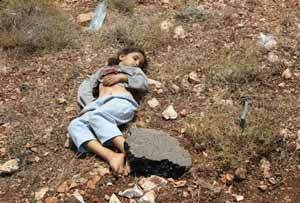 Israel does not want to shoot anybody, for us all children are as important as one can think of. I created the Peres Center, all the money we have collected went to the cure of children. Palestinian children. They didn’t have insurance, they didn’t have hospitals, in five years we have brought to Israel 5500 Palestinian children and their mothers to be cured. By the way, there is no hospital today in Israel that does not have Arab doctors, so the children can communicate with the doctors in the Israeli hospitals. That is our choice, to touch a child. But if you put a child, if you put bombs in the kindergarten, and if you hide yourselves behind innocent families, and before we shell, we, before we try to shell anybody, we try and telephone the people, we say, please leave the place. We don’t want to hurt you. We made during those twenty days, 250,000 telephone calls before we shoot. What could we do, what was our choice? And what would any government do?I am very much sorry Mr. Secretary General about the United Nations’ building, according to our records, not by your knowledge, they started to shoot from there, and by the way, Europe, you bombed Kosovo, and you hit the Chinese embassy, did you want to? And hundreds of civilian people were killed in the bombing to, That’s Ok. So please, I want to speak clearly, Israel does not need a ceasefire, because we never started a bullet and we shall never do it. 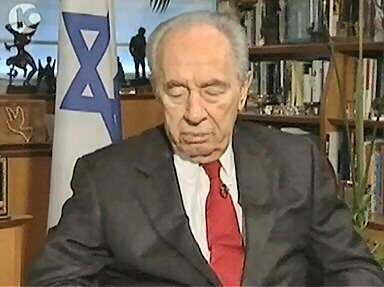 Shimon Peres: And then want to renew negotiations with the authorized Palestinian authority. We made headway. We want to start right away, we want to do it with the Quartet, we want to do it straight away, we don’t want to waste time. Our aim is peace not war and when we win a war we don’t consider it as a victory. For us victory is peace not war. We have power we should never use power unless we don’t have another choice and when we have a choice we want peace and I think that Hezbollah has learnt the lesson they stop shooting, nobody stop them to shoot but our reaction. I hope that Hamas will also have lesson they will stop shooting and start talking everything that we can achieve is by talking not by shooting and that was and that is and that will remain the position of Israel. Erdogan: One minute! It can’t be! One minute! One minute! Moderator: Ok, but I’m gonna hold you to the one minute please. Moderator: Prime Minister, we can’t start the debate again. Moderator: We really do need to get people to dinner. Erdogan: The Torah’s 6th Commandament says: Thou Shalt Not Kill. But they have killed Palestinians. The second thing, look, is very interesting. 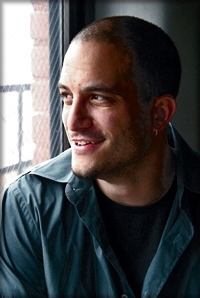 Gilad Atzmon: “Israel’s barbarity is way beyond cruelty.” He’s Jewish. Then, there is international relations professor from Oxford University Avi Shlaim, who served in the Israeli army. He has said the following in the English newspaper The Guardian: “Israel is a rogue state”. Moderator: Prime Minister, Prime Minister. I wanna ask to our host. Thanks. Erdogan: I also want to thank him as for me it’s finished. For me, for me Davos is finished. I will not come back again to Davos, you should know, here is finished. You don’t let me speak. He’s been talking for 25 minutes, and I only could talk 12 minutes. It can’t be. [He gets up and goes away, the Secretary of the Arab League shakes his hand]. 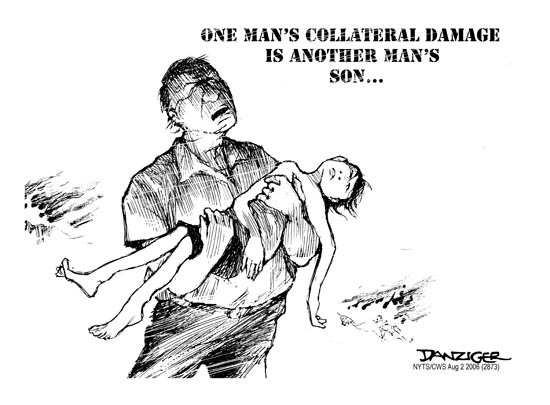 WRITTEN BY FABIO MINI – By definition, collateral damages are those which happen to the civilian population’s detriment while military targets are being struck. They can be predicted or unexpected and they are caused by inaccuracy of weapons or mistakes. During the war in Kosovo, the NATO spokesman used the term in an extensive and absolutory way, even when the attack against civil structures was indeed intentional. Therefore, a fact liable to be a war crime was declassified and victims became responsible for their deaths, guilty of being in the wrong place at the wrong time. The case constituted the beginning of a new school of thought and today people have simply gotten used to the inevitability of civil victims in any kind of conflict, even the sort between cops and robbers. In a military respect, this is a signal of the regression of war into a conflict between asymmetrical sides: a regression both of humanity and of strategy. The regression of humanity becomes even more severe since it’s supported by military strategy and is then passed off as “evolution”. The fact is that, despite all the international laws, military codes and customs of war, it is civilian victims who have once again become the real targets in war. We have returned to “structural” destruction adopted during WWII through carpet bombings and during the Vietnam War through the use of napalm. This kind of war seemed to come to its end when it was urged that a distinction be made between combatant and non-combatant forces, when ethics were brought to the fore to implement the rules about the protection of civilians and when even in the name of interest, it was suggested to limit damages since, in Liddell Hart’s words, “the enemy of to-day is the customer of the morrow and the ally of the future”. This kind of war seemed to be forever concluded when we turned from nuclear destruction to precision strikes, which represent the most important strategic and technological revolution of the second half of the last century. We have lost any track and memory of all this while pundits indulging in the military justification of collateral damages are the consequent ignorant persons. With all the advanced armies and weapons, collateral damages are supposed to be tending to zero and with the new enemies, archaic and desperate, there aren’t any military and productive structures that can to be destroyed in order to bend the will of their resistance. There are only houses, churches, mosques… and people, women and children. All easy targets, and therefore the real strategic challenge doesn’t lie in how to destroy – but in how to avoid striking – the innocent. In Chechnya, Afghanistan, Lebanon and, today, Gaza, the wanton strategy of striking civilians in order to make them turn against the insurgents, rebels or so-called terrorists is another regression. This should remind us of the way counterrevolutionary wars have been resolved, that indeed always had the victory of the rebels, as well as bring to mind the wicked deeds of colonial occupations. Even accounting for and disguising these regressions by propaganda means is a deja vù. The names and some means have changed, yet the outcomes are the same as always. The psychological war, trying to prove that civilians aren’t our targets but they are really victims of the enemy exploiting them as human shields hasn’t changed for a thousand years, and that’s why the enemy has to always be depicted as “wicked”. The same messages are used, even though leaflets, radio, television, ambassadors and political lobbies have been substituted for proclamations and infiltrates. Yesterday, the population lacking an alarm system used to become aware of the immanent attack from the bombers’ roar. A few minutes to seek shelter. Today, we phone the victims, but this, like in the past, can’t help those who are trapped in like a rat and have nowhere else to go. It just looks cynical. The latest new aspect of psychological war is that it is no longer aimed at the enemy but at one’s own troops and, mainly, at the national and international public opinion. This arm of brainwashing the masses and destroying intellects is directed at one’s own forces and allies and every soldier knows that there is nothing more dangerous than starting to believe one’s own propaganda. The most powerful armies in the world can’t recognize and face the new forms of asymmetrical war. They can’t penetrate, make distinctions, sort out and operate in a surgical way. They can’t handle their own power excess and have lost awareness of the usefulness and lawlessness of provoking civilian destruction. They don’t realize that all this only helps barbarize war: a luxury the terrorists can afford. Not us.